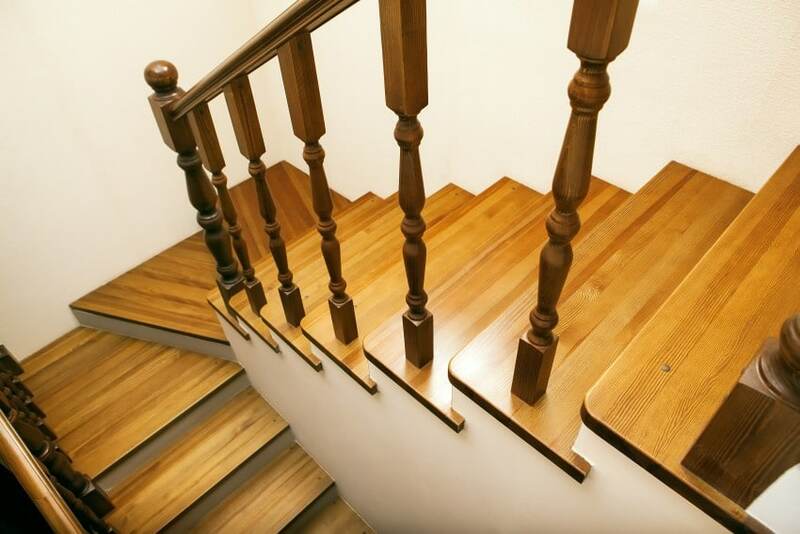 Welcome to our image gallery portraying 25 custom wood stairs and stair railing ideas for your home. The staircase is often located in the main foyer of the house, so it’s among the first things you and your guests will see on entering. It’s certainly good to have it properly designed as a cool focal point that catches the eye at first sight. Stairs can be a powerful design element that enhances the visual appeal of your home and reflects your personal style. There is a number of possibilities for the layout plan of your staircase. 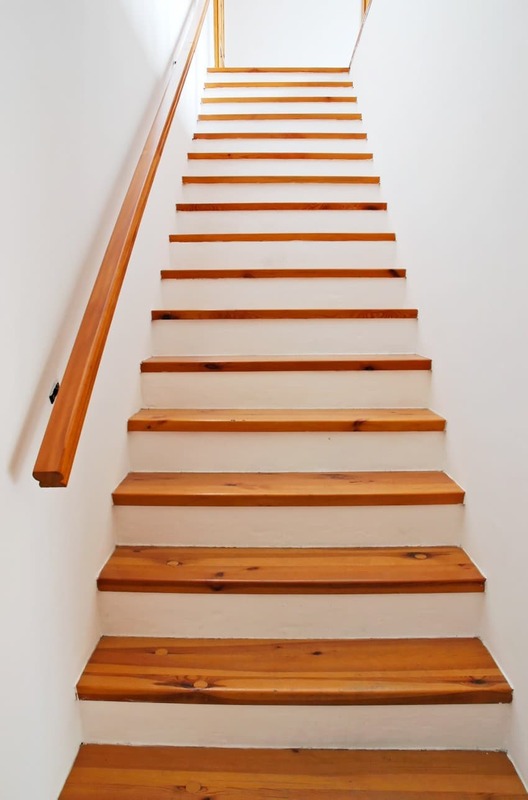 Straight stairs are a great option to go up and down the floors. 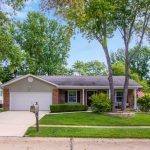 They do, however, require a sufficient amount of linear space to be built. 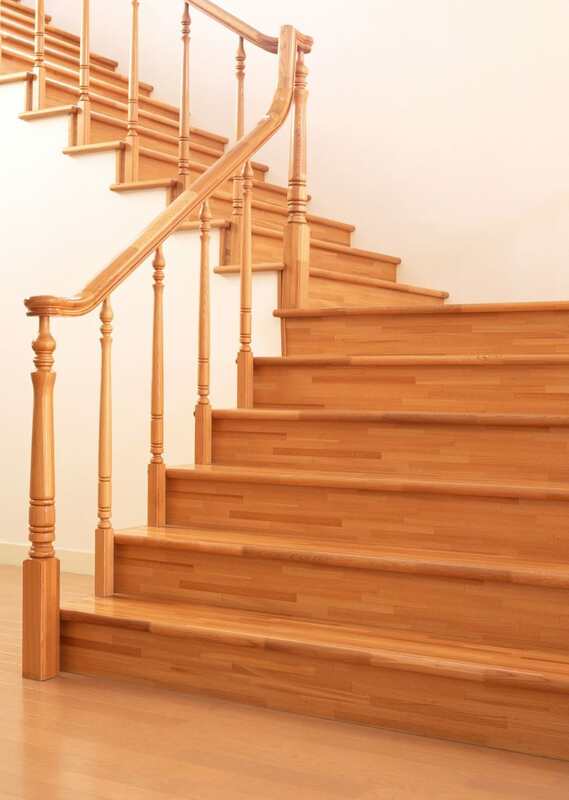 L-shaped and U-shaped stairs are another popular alternative that can be found in many homes. Curved and spiral stairs can have a great visual effect in interior design. The main benefit of spiral stairs is that they take up very little space, but can be tight and difficult to navigate. That is not the case with curved stairs, as they are usually wide enough and easy to walk up and down. They are, however, quite expensive and difficult to build. All types of stairs can be beautifully designed to match an interior design style of your choosing. A proper selection of finishing materials and touches can turn your staircase into a classic masterpiece or a modern piece of art. 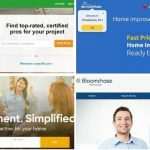 Here, we have put together a beautiful collection of inspirational images to give you great ideas for your stairway design. 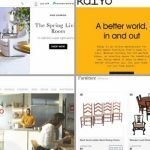 Take a look at these images and find your style! Here is a simple, yet effective design idea. 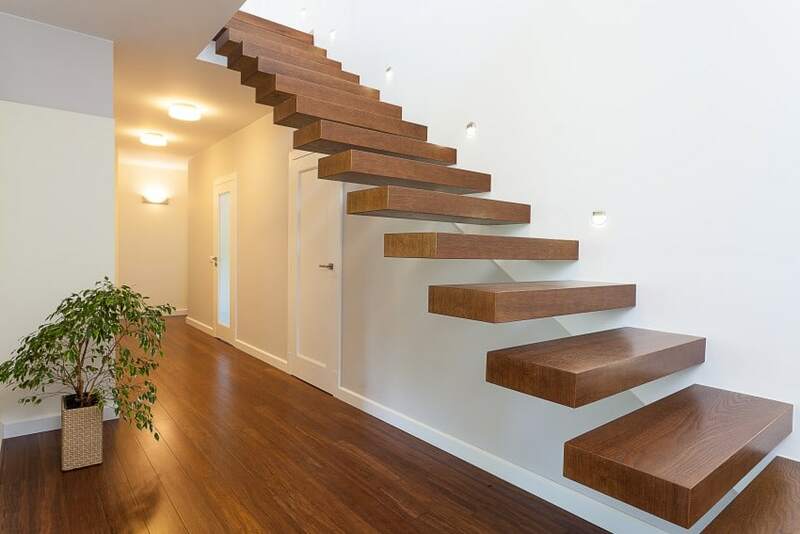 This staircase is made of wood that pops out against a uniform white background. It is laid with a grey carpet that seamlessly flows into the living room, as well. Here is another stairway design that is set in wood. It features wooden steps that are of the same color as the hardwood floors in the main living space. The railings are, however, painted all white. This right here is a more minimalist approach to stairs design – a straight concrete stairway with white riser fronts and solid wood treads. 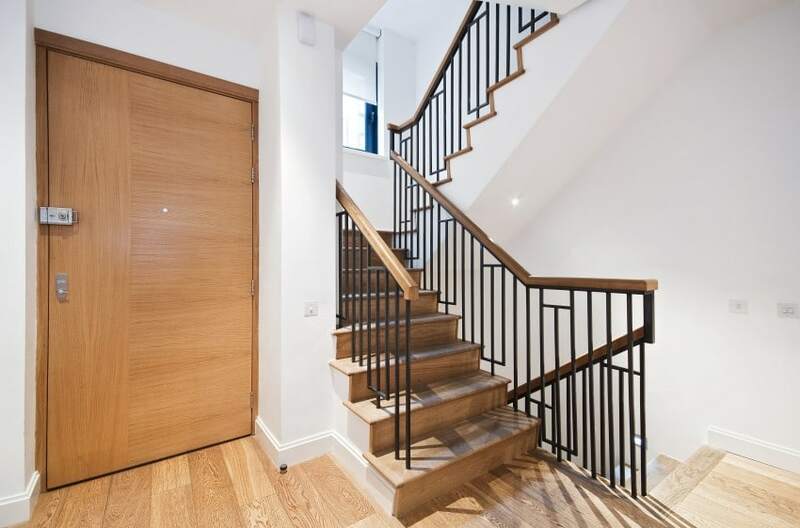 The railing is quite discreet, as well – just a simple wall-mounted handrail. Here is a U-shaped staircase design with a modern appeal. It is made of concrete and laid with solid oak that matches the flooring throughout the house. 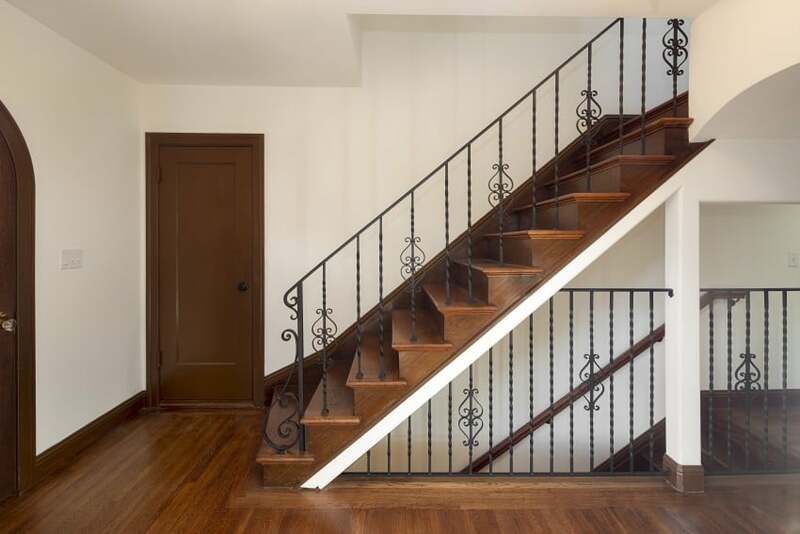 The railing is made of iron and topped with a wooden handrail. These winder stairs are beautifully designed. They are elegant and modern-looking, and blend in nicely with the white walls and hardwood floors of the house. A see-through glass panel railing gives a modern vibe to the design. Here is another half turn staircase with a sleek modern look. Metal, wood and glass come together in this state-of-the-art design that is a treat to the eyes. Naturally, plain white walls are a must in modern design, so here they are! This curved staircase is made of concrete and finished in white paint and solid wood. 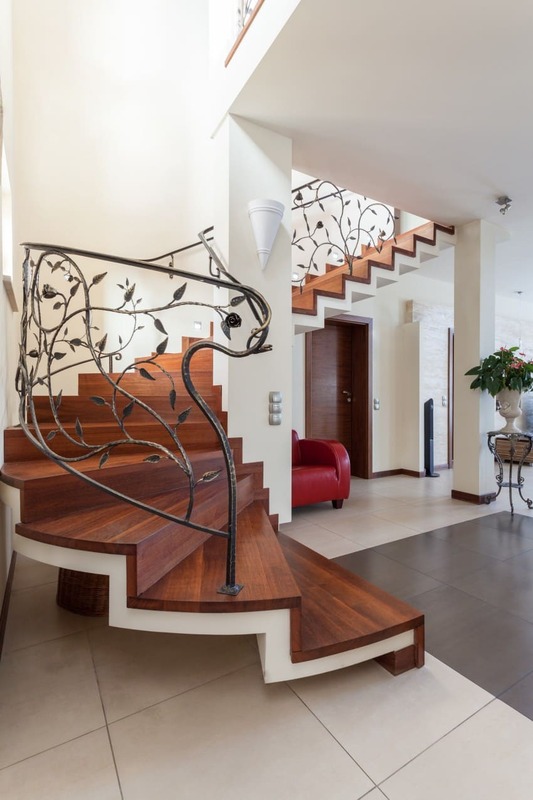 This elegant design is completed with a delicate wrought iron railing representing leafy twigs that intertwine. What a great way to bring nature into your home! Here is an L-shaped staircase design all in wood. It has a traditional appeal and inspires a feeling of comfort and warmth. It stands out against a white-painted wall and features a matching railing with lathe-turned support posts. Cantilevered stairs are a huge trend in modern design. This state-of-the-art staircase looks like it’s out of this world, as it seems to defy the rules of gravity. It is beautifully finished in solid wood that matches the dark wood floors in the hallway. 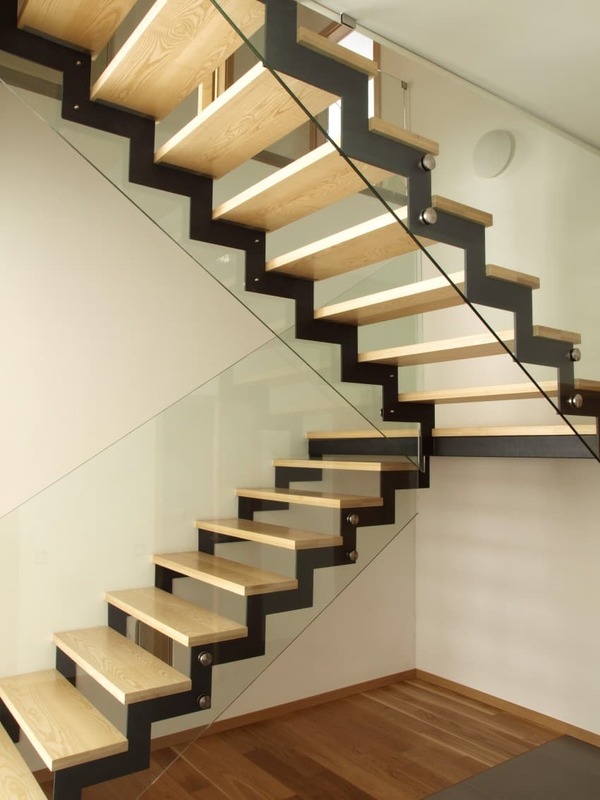 Here is another idea for a cool staircase design. Spiral stairs are great for tiny homes as they take up so little space, they could be squeezed in just about anywhere. 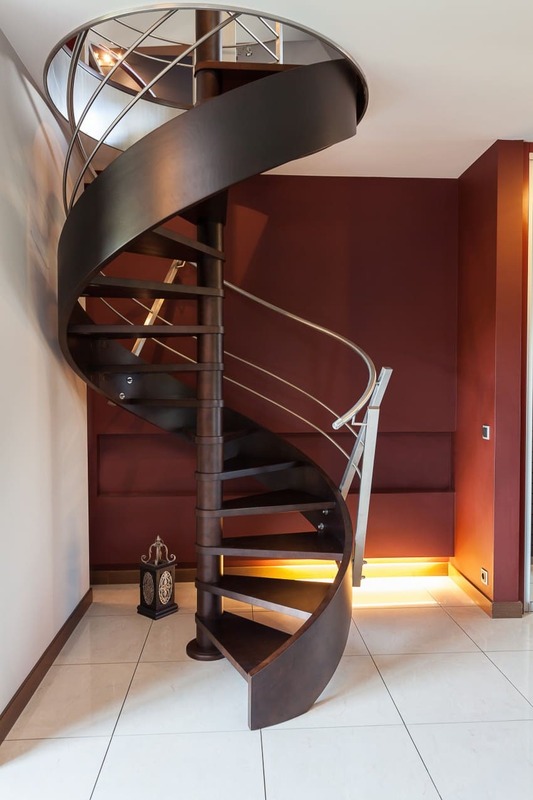 This example of a spiral staircase is finished in dark wood and brushed metal. Here is a staircase design with a Mediterranean appeal. 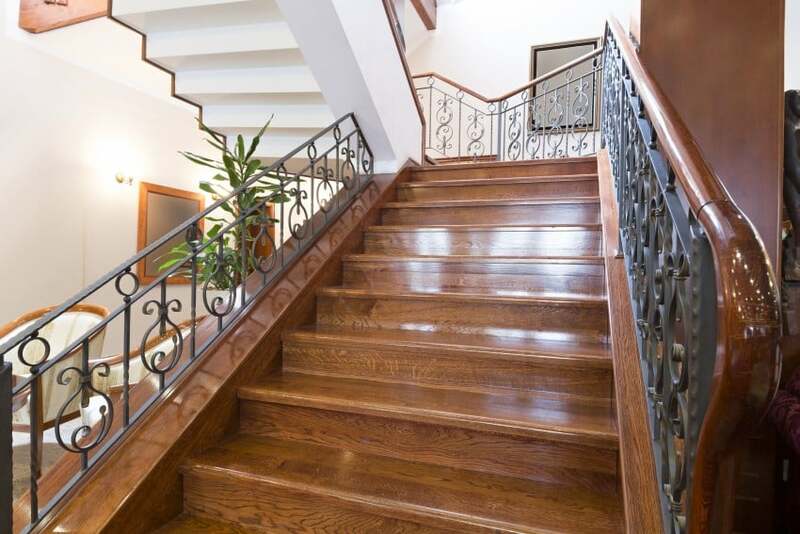 It is set in dark wood and finished with an elegant railing made of wrought iron. Hardwood floors and white-painted walls complete the design. 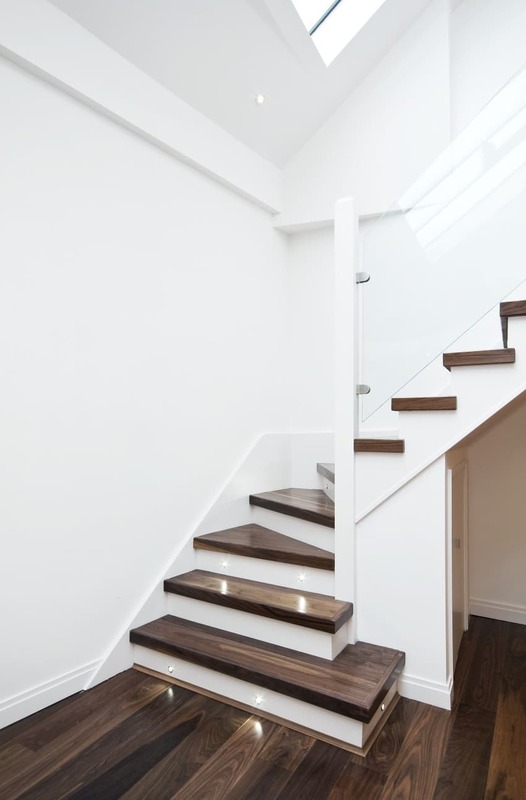 This modern staircase is of simple design in light wood that pops out against the white walls. 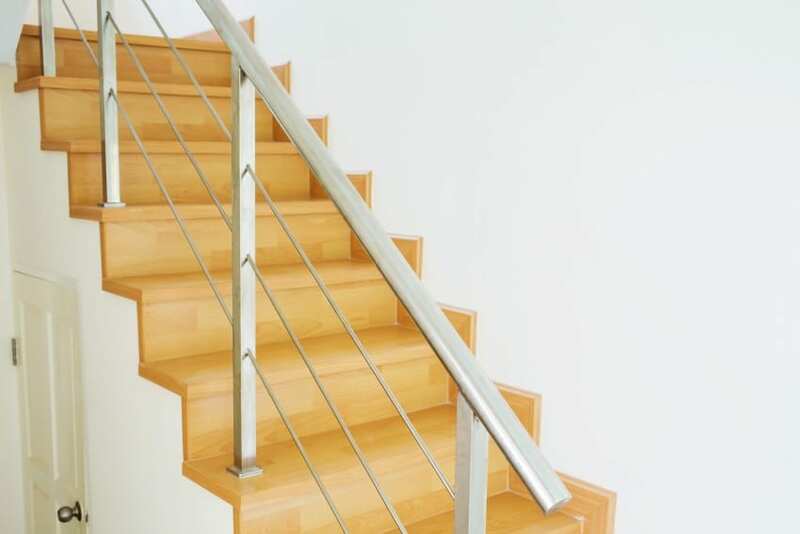 The stairs are fitted with a shiny stainless steel railing that completes the modern look of the design. 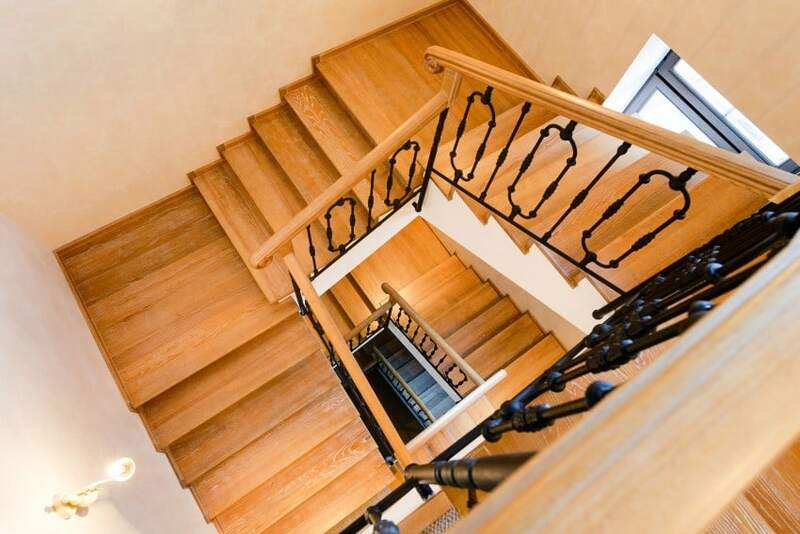 This luxurious staircase is a beautiful addition to a high-end interior design. It is packed with style and pure elegance. 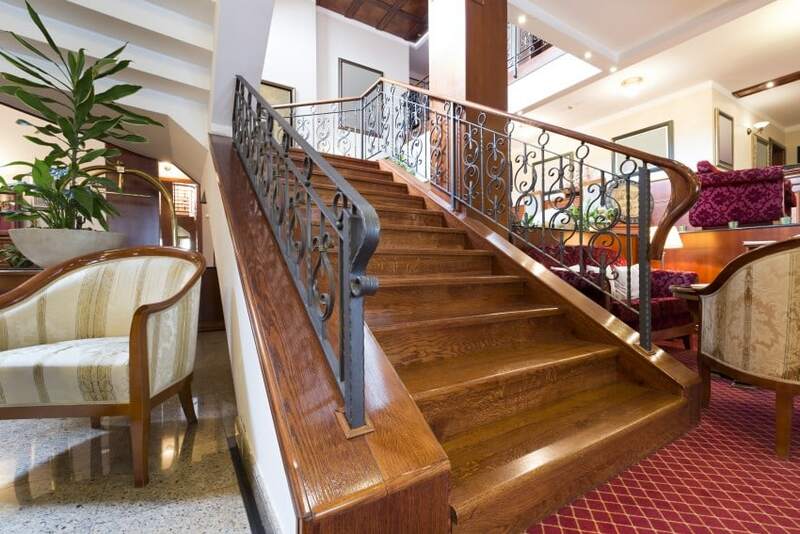 It is set in dark wood and features a wrought-iron railing with timber handrails. The walls are painted in plain white. Granite tiles, red carpeting and dark wood are the key ingredients in this classy interior design of a large foyer with a beautiful U-shaped staircase. 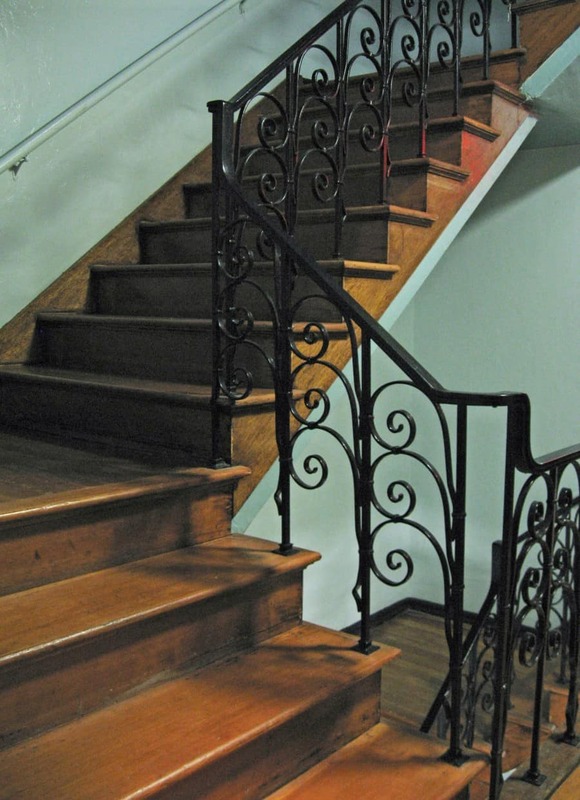 Elaborate wrought iron railings are also a part of the design. 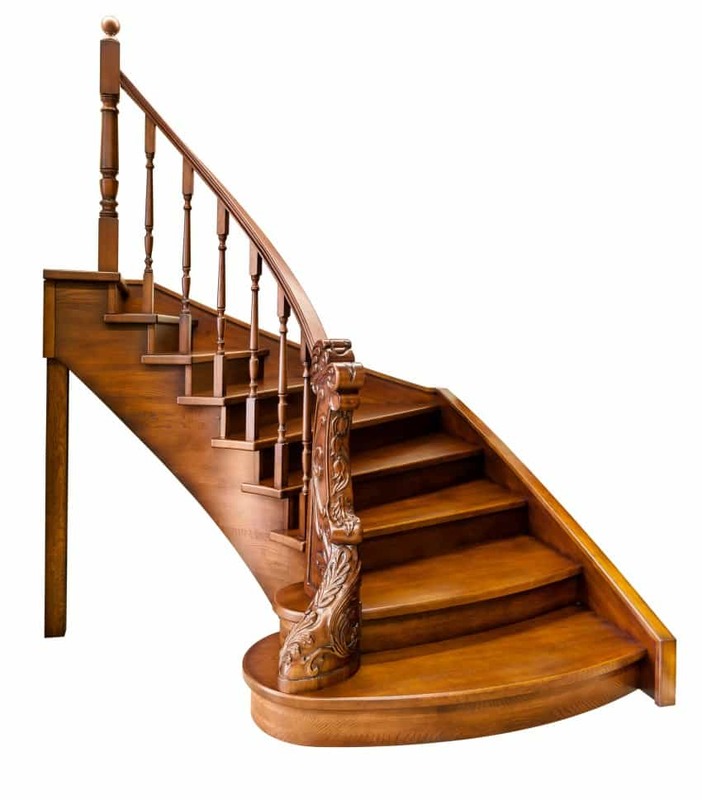 Here is a curved staircase design set in beautifully crafted wood. Such stairs are always a great interior design element and a nice focal point. They have quite the visual effect, as they look so soothing and alluring. 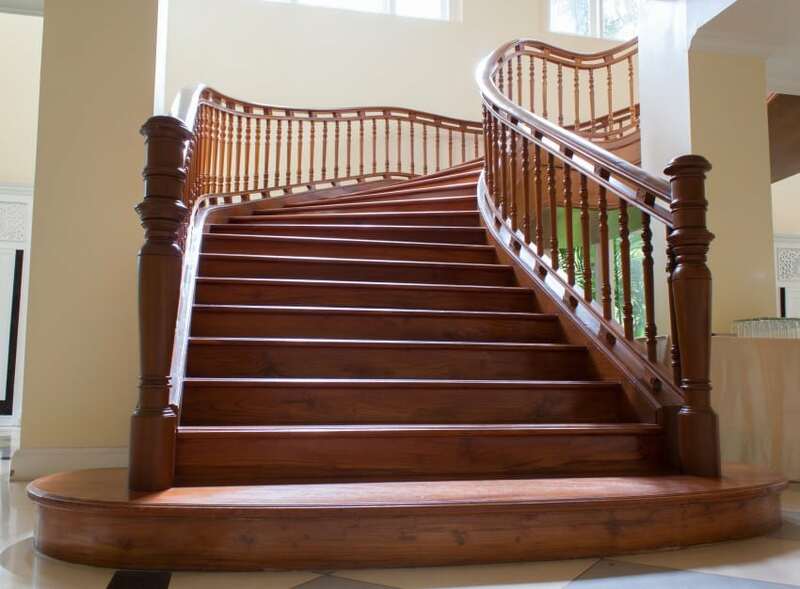 This curved staircase is set in solid wood and fitted with a wood-crafted railing of the same color. The design is finished with a golden oak wood stain that makes a stand in a foyer set in pale neutral shades. 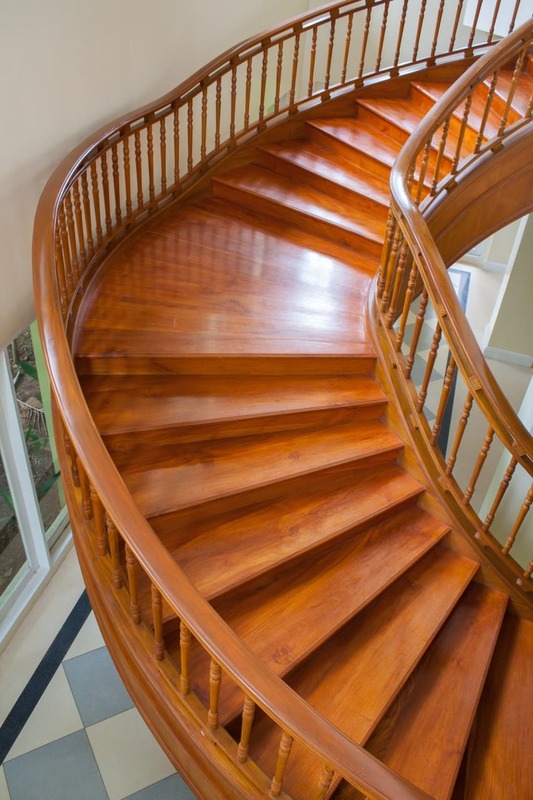 Here is another curved staircase made of wood. The railing is probably the most impressive feature in this design. With wood balusters and a sculpted detail at the bottom it is sure to become a cool focal point in any foyer design. 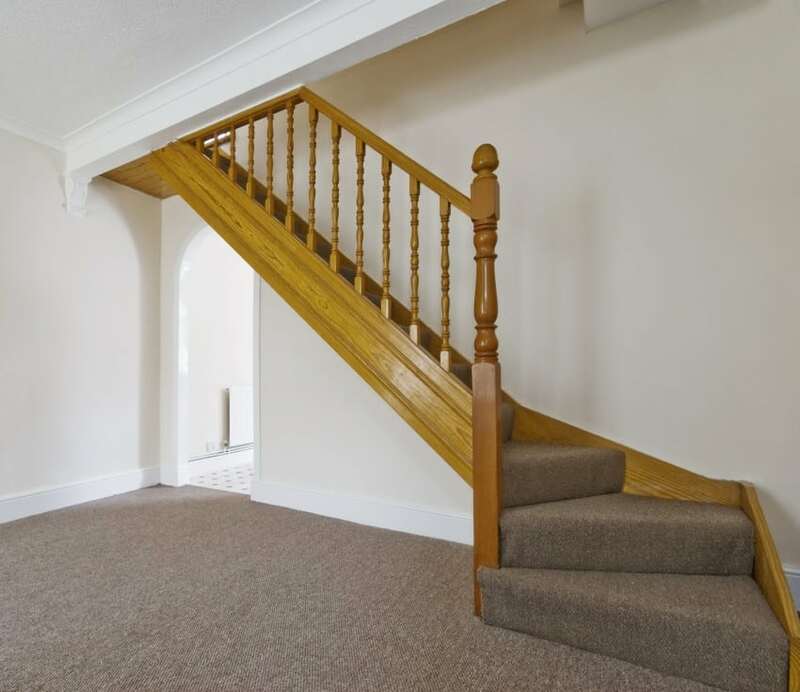 This straight staircase design is set in light wood with a distressed look. 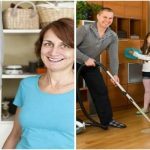 It has a traditional appeal and is laid with a beige carpet in the middle, which is a good way to protect it from wear in the long run. 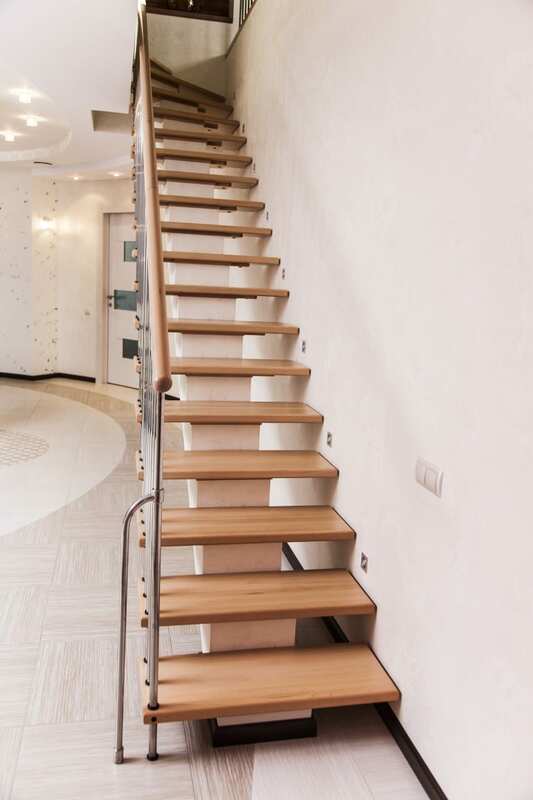 This floating staircase design has a beautiful modern look to it. It features light wooden treads that are lined along a white stringer. 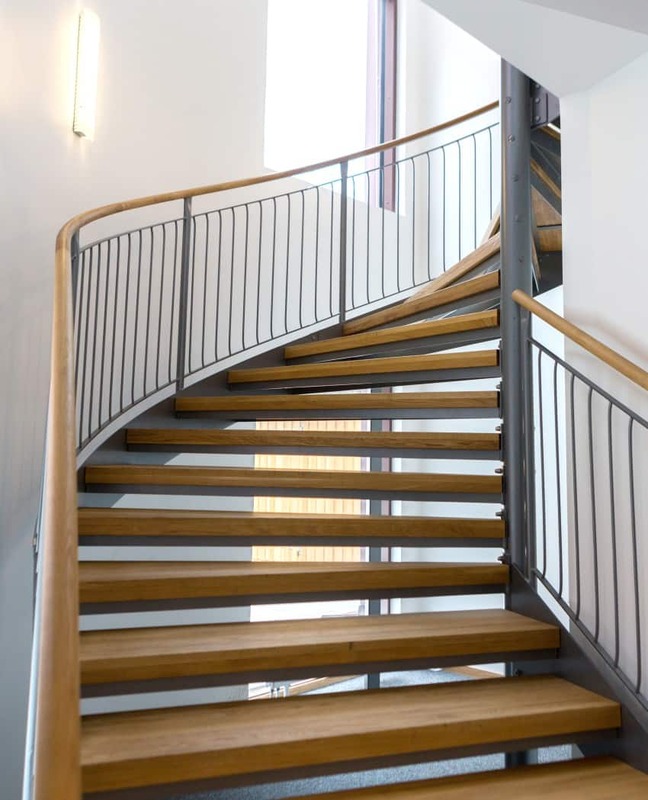 The railing is made of stainless steel and finished with a matching wood handrail. This U-shaped quarter landing staircase is filled with light. It is laid with solid wood, and the surrounding walls are painted white. The handrail is also made of wood, while the support posts are made of wrought iron. Here is another beautiful design idea. 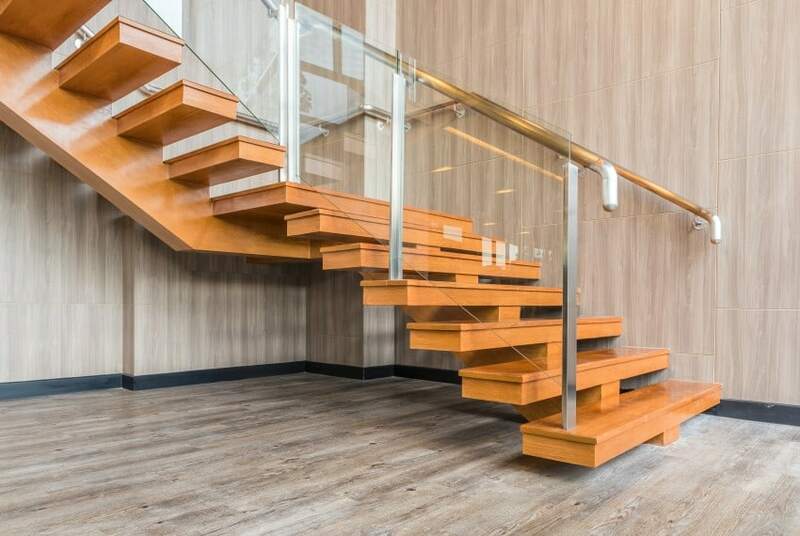 This L-shaped floating staircase is set in wood, metal and glass. It has a clean modern look that makes it a beautiful addition to a contemporary house design. Casual looks and simplicity in design is what matters most in this double winder staircase design. 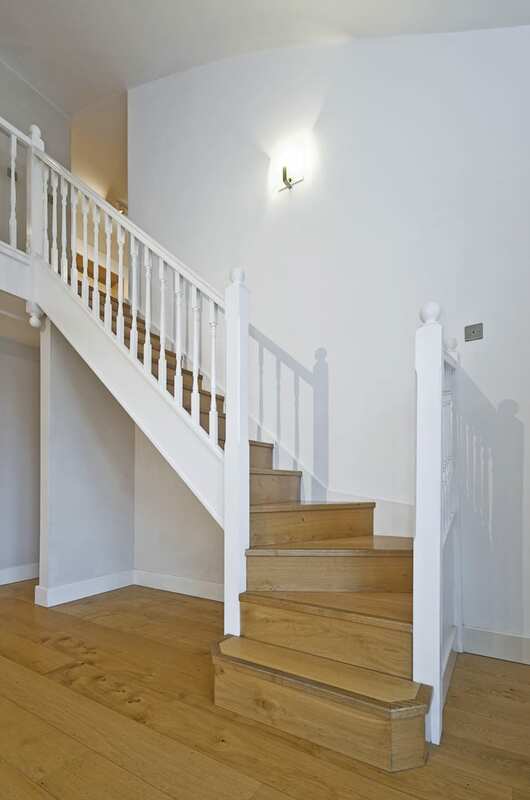 It is set in white paint and solid wood, and fitted with a traditional timber-crafted railing of a matching color. Here is another curved staircase with a sleek modern look. This design proposal is set in black metal and dark wood that make a great match and have a cool industrial appeal. This is a simple design that could fit just about anywhere. 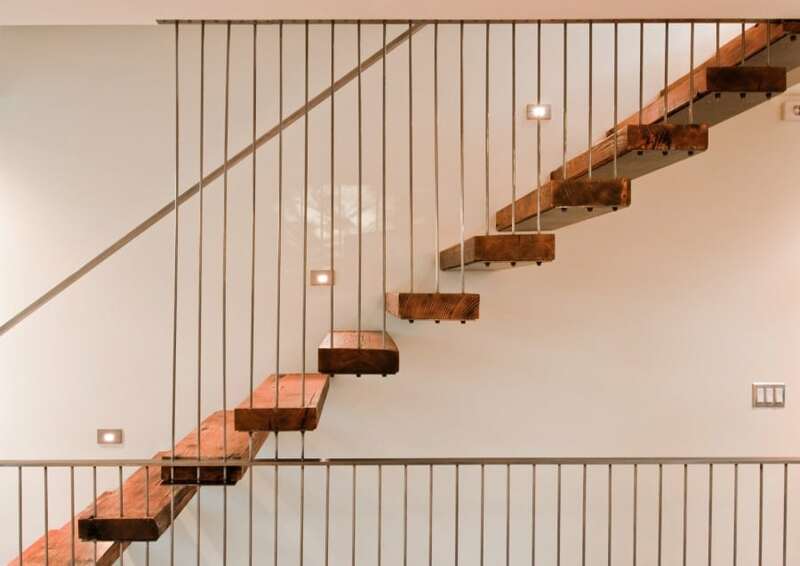 Modern staircase with wood steps and steel tension rods as railing.